Orru, R.V.A. “Multicomponent Reactions. Volumes 1 and 2. Science of Synthesis Workbench Edition. Edited by Thomas J. J. Müller” Angew. Chem. Int. Ed. 2014, 53, 12014-12015 (Book Review). Janssen, G.V. ; Janssen, E.; Vande Velde, C.M.L., Ehlers, A.W., Slootweg, J.C., Ruijter, E.; Lammertsma, K.; Orru, R.V.A. “Chemoselective Addition of Isocyanides to N-tert-Butanesulfinimines” Org. Lett. 2014, 16, 5116-5119.
van der Born, D.; Sewing, C.; Herscheid, J.D.M. ; Windhorst, A.D.; Orru, R.V.A. ; Vugts, D. “A Universal Procedure for the [18F]Trifluoromethylation of Aryl Iodides and Arylboronic Acids with Highly Improved Specific Activity” Angew. Chem. Int. Ed. 2014, 53, 11046-11050. Mampuys, P.; Zhu, Y.; Vlaar, T.; Ruijter, E.; Orru, R.V.A. ; Maes, B.U.W. “Sustainable Three-Component Synthesis of Isothioureas Involving Isocyanides” Angew. Chem. Int. Ed. 2014, 53, 12849-12854. Rombouts, J.A. ; Ravensbergen, J.; Frese, R.N. ; Kennis, J.T.M. ; Ehlers, A.W. ; Slootweg, J.C.; Ruijter, E.; Lammertsma, K.; Orru, R.V.A. “Synthesis and Photophysical Properties of a Chromophoric NDI/Zinc Salphen Scaffold for Artificial Photosynthetic Constructs” Chem. Eur. J. 2014, 20, 10285-10291. Janssen, G.V. ; Slobbe, P.; Mooijman, M.; Kruithof, A.; Ehlers, A.W. ; Fonseca Guerra, C.; Bickelhaupt, F.M., Slootweg, J.C.; Ruijter, E.; Lammertsma, K.; and Orru, R.V.A. 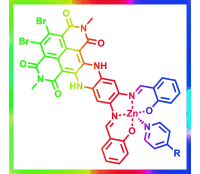 “Diastereoselective One-Pot Synthesis of Tetrafunctionalized 2-Imidazolines” J. Org. Chem. 2014, 79, 5219-5226. Janssen, G.V. ; Vicente-García, E.; Vogel, W.; Slootweg, J.C.; Ruijter, E.; Lammertsma, K.; Orru, R.V.A. “Stereoselective Synthesis of β-Sulfinylamino Isocyanides and 2-Imidazolines” Eur. J. Org. Chem. 2014, 18, 3762-3766. Cioc, R.C. ; Ruijter, E.; Orru, R.V.A. 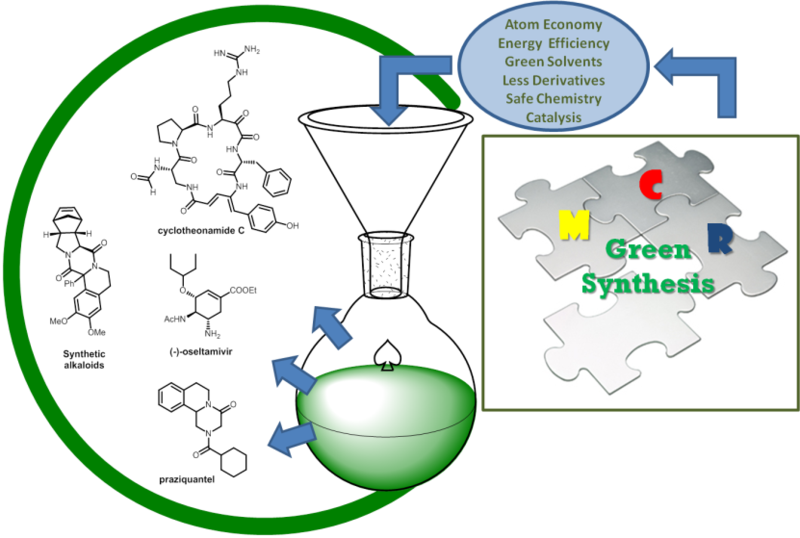 “Multicomponent Reactions: Advanced Tools for Sustainable Organic Synthesis” Green Chem. 2014, 16, 2958-2975. Vlaar, T.; Bensch, L.; Kraakman, J.; van de Velde, C.M.L. ; Maes, B.U.W. ; Orru, R.V.A. ; Ruijter, E. “Synthesis of Diverse Azolo[c]quinazolines by Palladium(II)- Catalyzed Aerobic Oxidative Insertion of Isocyanides” Adv. Synth. Catal. 2014, 356, 1205-1209. Koopmanschap, G.; Ruijter, E.; Orru, R.V.A. “Isocyanide-based Multicomponent Reactions towards Cyclic Constrained Peptidomimetics” Beilstein J. Org. Chem. 2014, 10, 544-598. Estévez, V.; Van Baelen, G.; Lentferink, B.H. ; Vlaar, T.; Janssen, E.; Maes, B.U.W. ; Orru, R.V.A. ; Ruijter, E. “Synthesis of Pyridopyrimidines by Palladium-Catalyzed Isocyanide Insertion” ACS Catal. 2014, 4, 40-43.